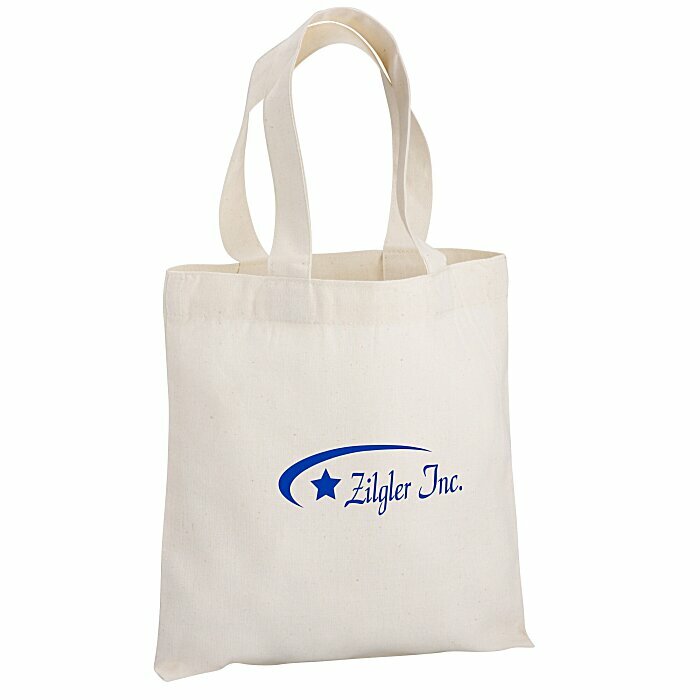 Watch Video for Cotton Sheeting Natural Economy Tote - 9-1/2" x 9"
You’ll be on your way to successful brand exposure by giving out these promotional totes! As a library or tradeshow tote, the sturdy cotton material holds up to heavier loads. The reusable tote bag can be folded flat for easy storage in closets or front halls. For a full-color imprint, see item #1105-99-FCCotton Sheeting Natural Economy Tote - 9-1/2" x 9" - Full Color. For 24-hour service, see item #1105-99-24HRCotton Sheeting Natural Economy Tote - 9-1/2" x 9" - 24 hr.